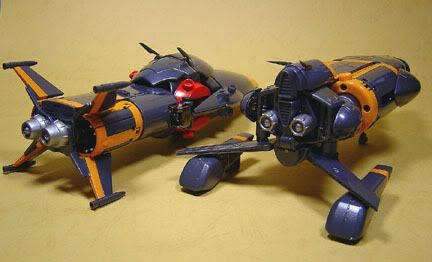 - the Bustermachine 2 has landing gears while BusterMachine 1 does not. When combining the Bustermachines be careful of this joint, the ridges are thickened in one of the areas and might break if you pull it out the wrong way. The "Buster Home Run" and "Buster Tomahawk" are stored in the left shoulder. 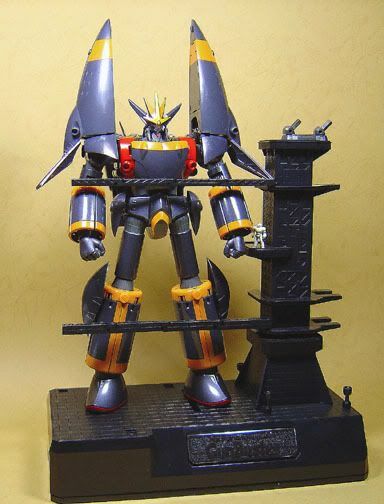 - while this weapon didn't come out in the OAV, it was part of Gunbuster's weaponry in the Super Robot Wars games. 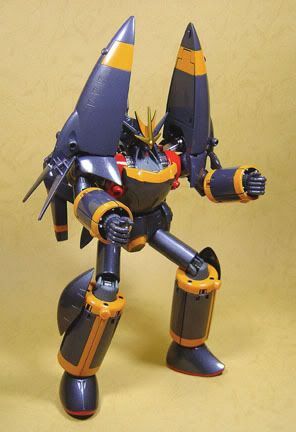 Fun fact: In the SRW games, Noriko(Gunbuster's pilot) is a huge fan of Super Robots(particularly Getter Robot), so much so, she imitates Ryoma Nagare's shouts of "Buster Tomahawk" and "Tomahawk Boomerang" just like her hero. 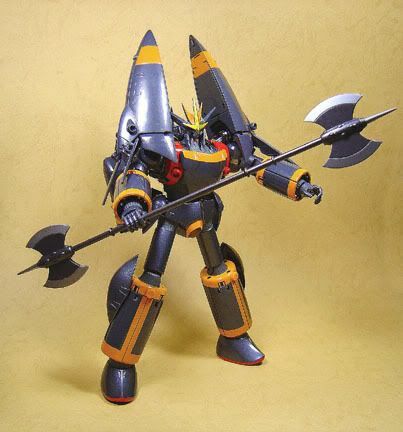 The Buster Tomahawks can be linked using a metal shaft. 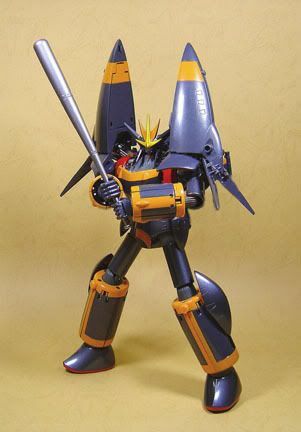 - again, another weapon that only came out in the SRW games, with bat in hand, the Gunbuster swings out balls of energy(?) that basically knocks a hole through any opponent. 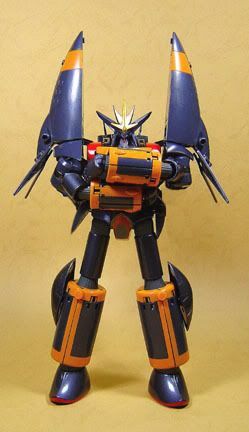 - a defensive weapon capable of deflecting concentrated enemy fire and dispersing it across a wide area away from the Gunbuster. 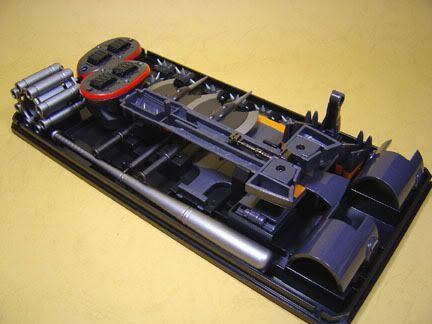 - they shaft in and out of the fingertips thanks to a switch on the radial side of the palm. 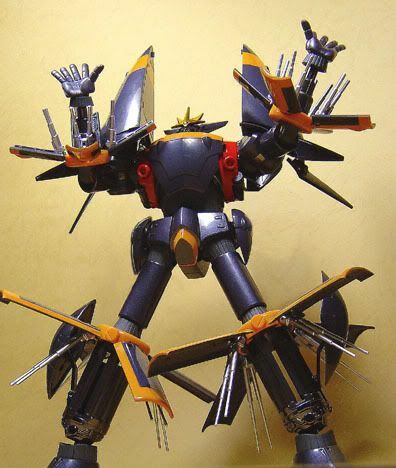 - yet another weapon that only appeared in the SRW games. 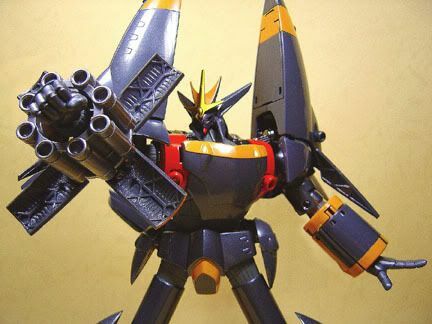 - an attack that pumps huge amounts of energy directly into an enemy unit, capable of destroying enemies the size of a comet. 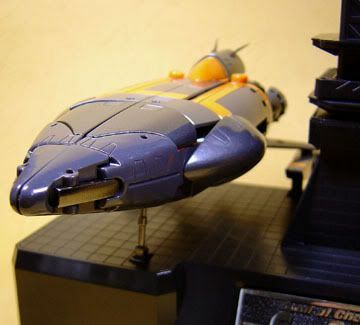 The RX7 (piloted by Kazumi Amano a.k.a. 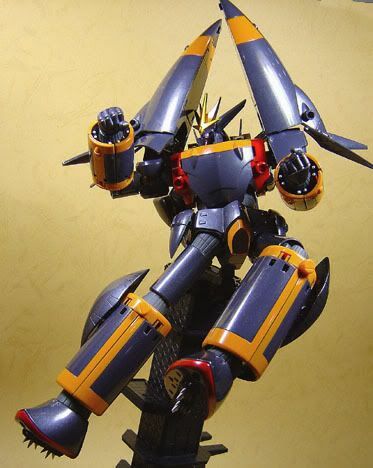 "Onesama"/big sister) can "land" on the Gunbuster's palm, it has indentions for the RX7's right foot to keep it standing. 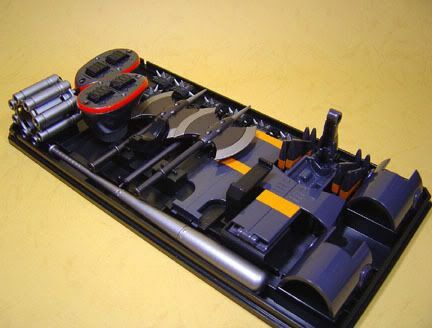 Continuing Bandai's current trend with the SOC line, the accessories can be stored underneath the base. 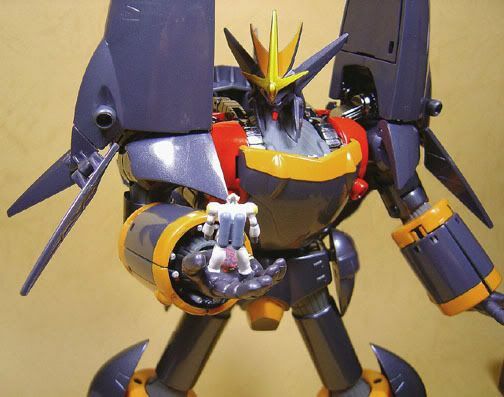 I really love this gimmick. 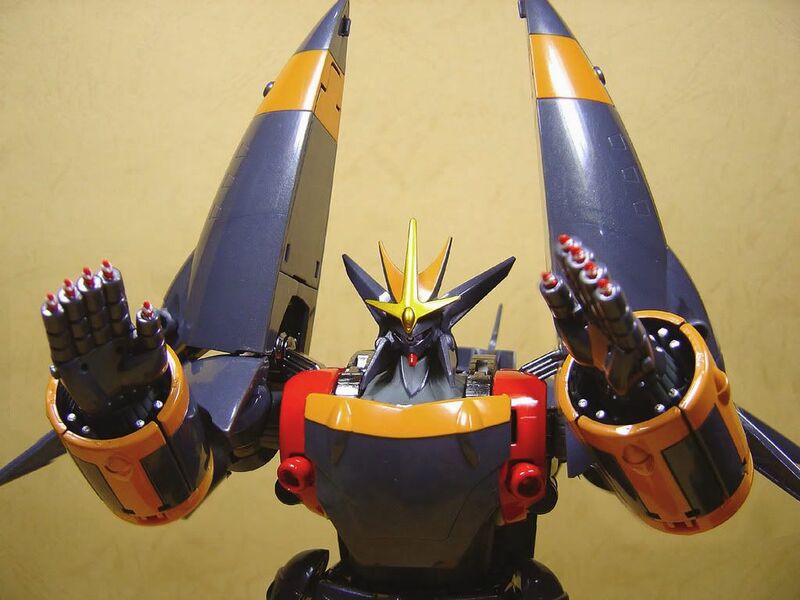 The tower houses most of the Gunbuster's hands. 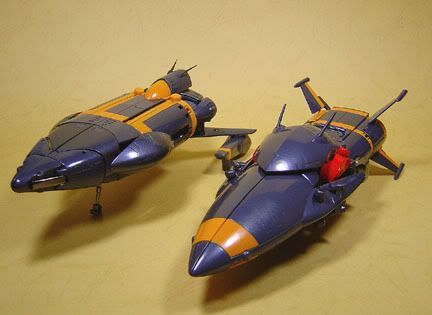 Another great concept is the abitity to display the toy in both modes. 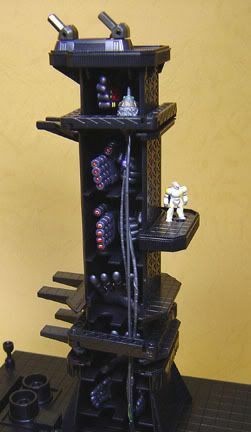 *take note the Buster Machine 1 has to be "plugged" into the tower to make sure it stands upright. 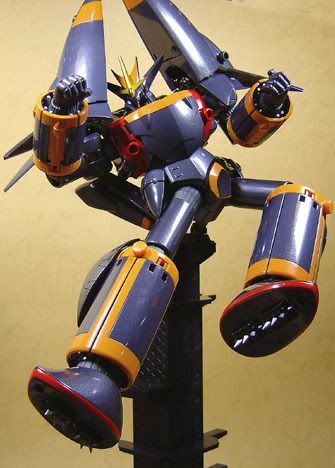 There're also "folding out" walkways to reach the Gunbuster when it's in robot mode. 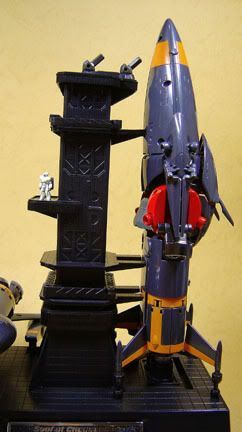 The arms can be folded up and wrapped around the tower when not in use. 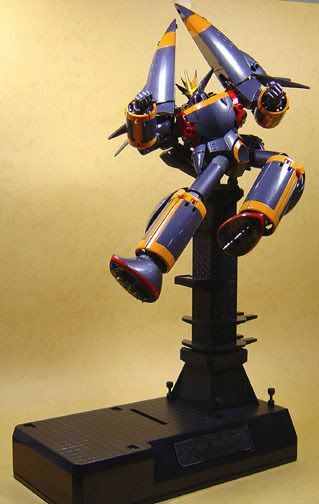 Best of all, the tower can support the Gunbuster to do it's "Super Inazuma Kick" pose. 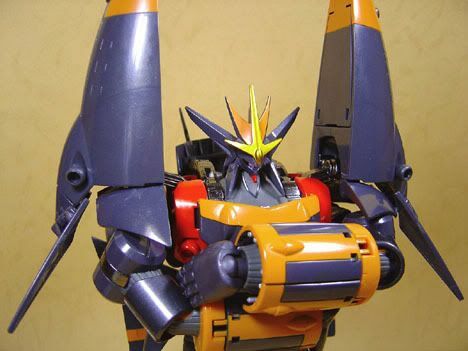 There's a peg that plugs into Gunbuster's behind. Pretty darn sturdy thing, too! But I don't recommend leaving the toy displayed like this in a display cabinet too long. 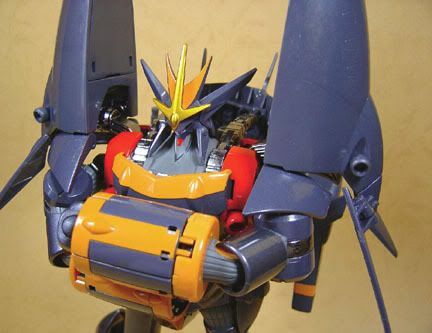 There's a chance the peg might break or become unremovable from Gunbuster's port after some time(say after a couple of months?). 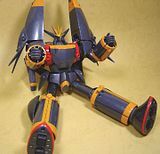 Near the end of the OAV, the Gunbuster had to detonate its own reactor core to "kick-start" a malfunctioning BusterMachine 3, which was a moon-sized bomb set to blow up in the center of the invading alien fleet, thus the reason for this accessory. -the "interlink shaft" of the 2 Tomahawks. 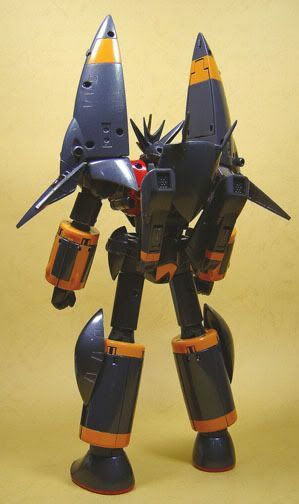 Suprisingly, the Gx34 is very articulated. 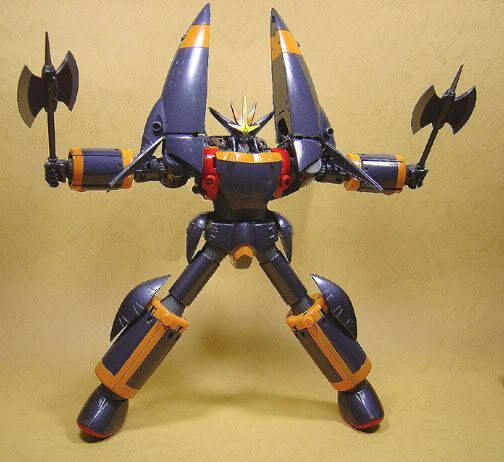 The toy has ratchet joints in the groin area(on both Axis, forward-back and sideways) and in the knees and even in the rotating lower legs. 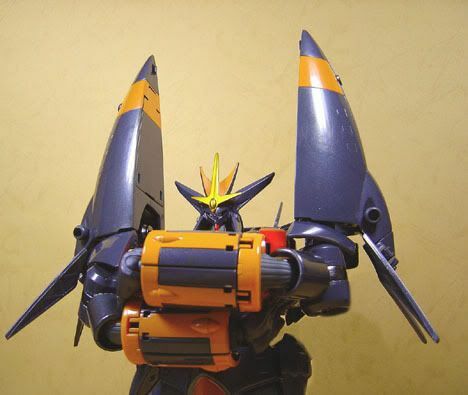 Ratchet joints in the shoulders but not in the elbows I think. It looks to be the best articulated SOC combiner released so far. 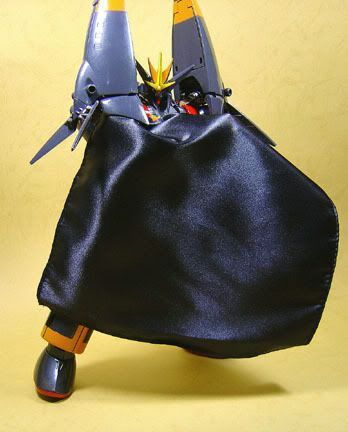 There's also a button for releasing the waist interlock(the gimmick is almost similar to Getter Poseidon's release button). The interlock is very solid. A lot of moving pieces, just be careful to note where the "release buttons" are. 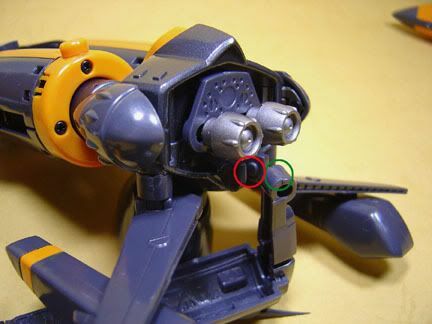 There are two release buttons per leg(to shaft out the lower leg) hidden underneath the "Buster Koreda" plates(top and bottom sides). 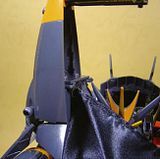 and also a button to release the foot for swapping with the more "Anime accurate" foot(the button is located in the heel area). 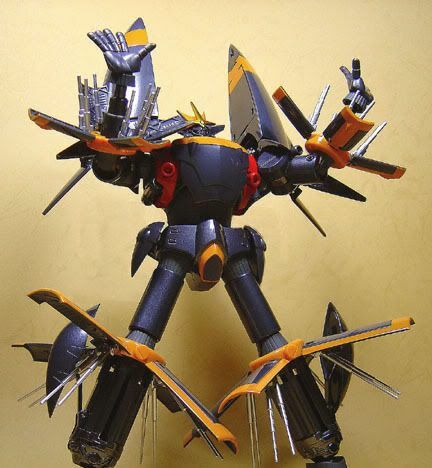 While it looks really good, I can't help but feel that there're a lot of parts that are accidents just waiting to happen. 3) The big flap on Buster Machine 2. 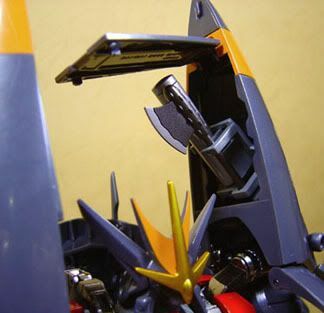 You can remove it for anime accuracy but there is a certain angle to do it(study the illustration VERY CAREFULLY), remove it the wrong way or at the wrong angle and something might break. 4) I'm not sure if this is localized to my unit but somehow the mid torso joint feels a little loose(there's a hidden joint of sorts in the chest interlock, helps angle the chest to "lean" forward to do the "Super Inazuma Kick" pose). 5) The flaps for the Buster Koreda on the arms and legs are sometimes hard to keep closed and a lot harder to keep open(it took me quite a while to open everything just right to do the "Koreda" pics). 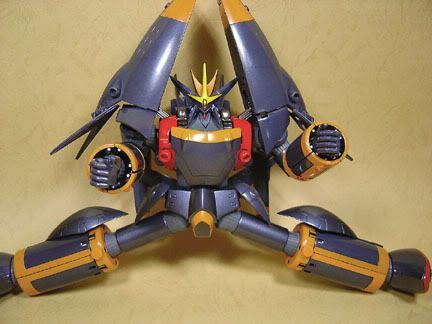 Those fists are a royal pain in the neck to swap out! 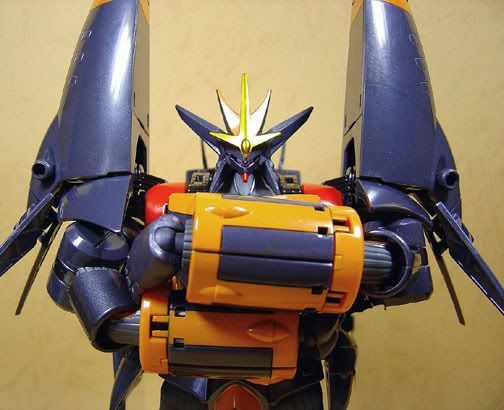 I had a tough time everytime I wanted to replace the fists, while removing and attaching them. 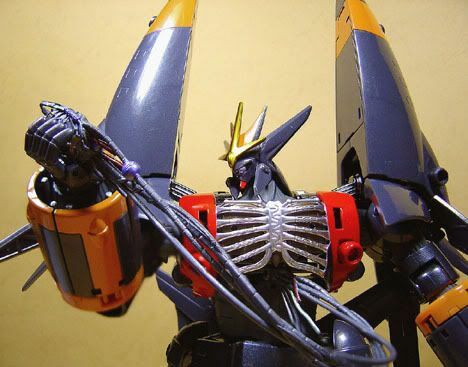 The shafting inner forearm skeleton makes it an even bigger challenge. Fortunately the wrist joint is solid metal so it doesn't look like it will break off, but it's still really stressful to change the fists. 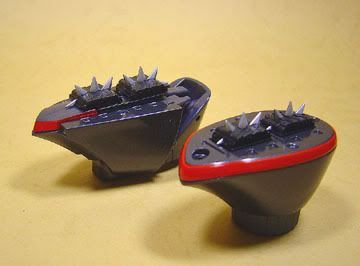 Also, the small spiked treads for the "Super Inazuma Kick" are a bit difficult to pluck out once you attach them. Be ready to use your fingernails to pry them loose. Just on the small ones anyway, the big ones(for the "transforming feet") are easily removed. Definitely a great SOC. 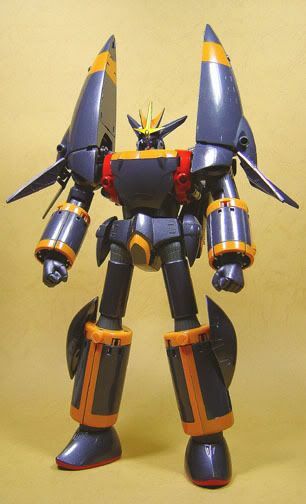 Design-wise, I think I might vote this as the TOTY instead of Voltes. Personally I think it's the most well balanced SOC released. In terms of gimmicks, design, playability(thanks mostly to the multi-fuctional display stand), durability(except for the minor quibbles I noted, which are very minor actually, apart from the fist swapping, anyways) it's all very good. Diecast content could've been more but then that would make the toy top-heavy, so I'm pretty happy with the way it turned out. 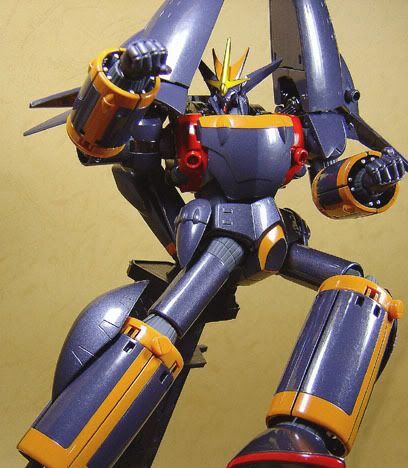 Here's a clip from the OAV, click to watch Gunbuster in action. 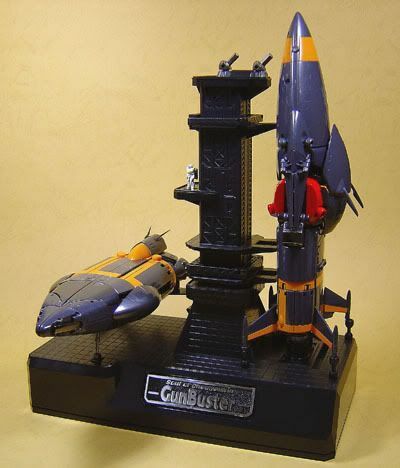 Last but not least, as a parting shot, the Gunbuster next to the SOC "combiners" released so far.